The International Classification of Sleep Disorders (ICSD) describes the different types of sleep disorders, such as obstructive or central sleep apnea syndrome, snoring, Cheyne-Stokes respiration, restless legs syndrome (RLS), bruxism, insomnia, hypersomnolence, parasomnias, and more than 90 types of other sleep disorders (www.sleepnet.ru). neurological and psychosomatic disorders, such as epilepsy, chronic cerebrovascular insufficiency, dysregulation of excitation and inhibition, depression, anxiety. Systems recording a small number of parameters (Type III) with function of data recording onto a memory card in autonomous mode. 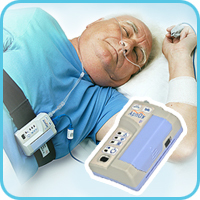 Type III systems have a limited number of channels (from 4 to 15) and are used primarily for advanced respiratory (sleep apnea screening) and cardiorespiratory monitoring in a hospital, health and sleep research centers, or at home. 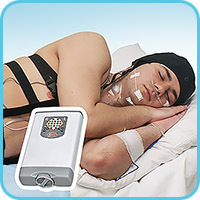 Mobile polysomnographic system (Type II) differ from Type III systems in number of channel (from 18 to 24) and include up to 6 EEG channels for sleep stages analysis and hypnogram building. The study can be performed in autonomous mode without a technician. Stationary polysomnographic systems (Type I) include 24 and more channels. A characteristic feature of Type I systems is an increased number of EEG channels to diagnose sleep disorders related to epilepsy and other neurological diseases. System can include extra channels for ECG, EMG, motor activity, and other parameters (GSR, PPG, temperature, wetness, etc.). Each type of polysomnographs can be supplemented with mobile or stationary kit for synchronized overnight video monitoring. 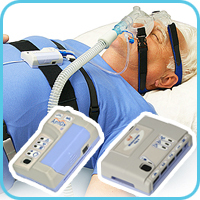 The polysomnographs can control the performance of CPAP therapy as well. telemetric – data transmission into computer via wireless Bluetooth® channel. 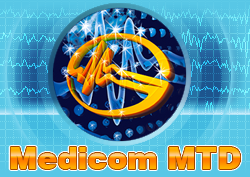 A system with an increased number of channels (18-24), including up to 6 EEG channels, provides telemetric and autonomous record of physiological signals using autonomous patient transceiver-recorder ABP-10, wireless pulse oximeter module, other modules, electrodes and sensors. This system provides the same functionality for cardiorespiratory disorders analysis as the polysomnograph based on sleep signals recorder "ApnOx-10" (type III). 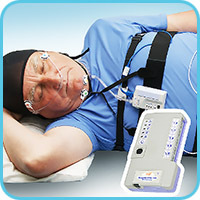 "Encephalan-PSG" software ("Maximum" suite) displays brain rhythms power indices, EOG and EMG amplitude, parameters of respiration, movements, snoring and ECG in a form of trends for quick search of EEG patterns, identification of sleep stages, as well as for manual and automatic hypnogram building, and anlysis of various sleep disorders. Polysomnographs of type I are characterized by an increased number of EEG channels (20 and more) to diagnose sleep related forms of epilepsy and other neurological diseases. The polysomnographs are suitable both for stationary application in expert class sleep laboratories and for mobile application. The sales package includes autonomous patient transceiver-recorder ABP-26, wireless pulse oximeter module, other modules, electrodes, and sensors. 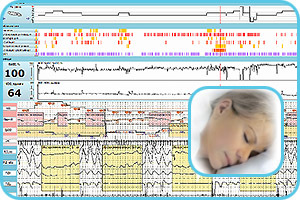 Polysomnograph's software additionally provides analysis of multichannel sleep EEG, detection of epileptic patterns and classification of spike-waves in relation to sleep structure using various methods of EEG quantitative analysis. Kits of video equipment with "Encephalan-Video" software provide visual analysis of paroxysmal activity and symptoms of sleep disorders synchronously with electrical brain activity that is crucial in differential diagnosis of epilepsy.